One of the questions I get asked a lot when dealing with dash electronics is “Where do I supply power from?”. This comes up a lot especially when wiring up a new stereo or wiring up some gauges. I figured I’d take a minute and explain the easiest way to accomplish this. 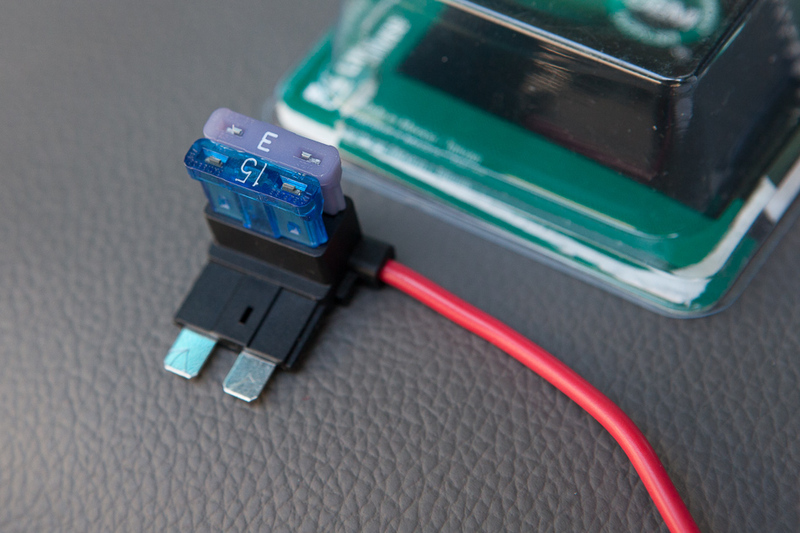 Even if you’re not comfortable with 12v wiring in general. This will be very easy. I promise. 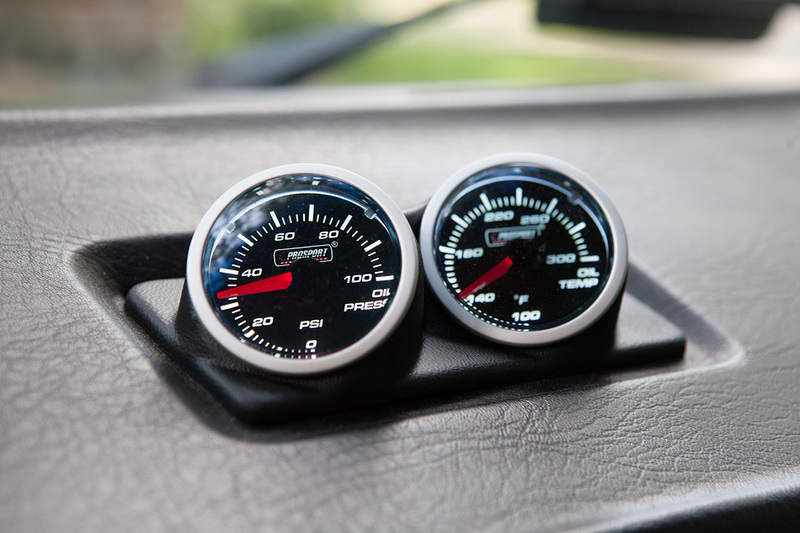 In this write-up I’ll use a pair of powered, illuminated gauges mounted on the dash as a working example. Most of the times when installing gauges to monitor oil temperature and pressure etc you’re wanting whats called a SWITCHED POWER SOURCE. 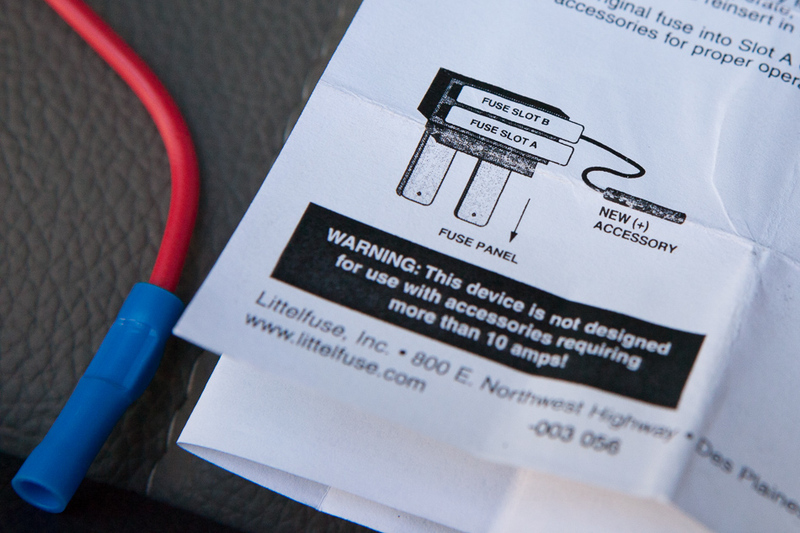 This simply means that no power is delivered to the gauges UNTIL the key is inserted into the ignition and turned on. This motion from the key then signals the SWITCHED POWER SOURCES to get power and then supply power to whatever accessories are wired to it. This is what we want. A SWITCHED POWER SOURCE which will only power/turn on the gauges when the Van key is inserted into the ignition and in the ON position. If we had a NON switched power source wired up to our gauges then that would mean the the gauges are getting power ALL of the time and will never turn off. This is not what we want as the gauges will eventually drain your battery dead if the van is left off for a long while. Ok now that we know what kind of power source we need, lets find one. DISCONNECT THE NEGATIVE LEAD FROM YOUR STARTER AND AUXILIARY BATTERY FOR THIS ENTIRE PROCESS. Instead of trying to decipher the Bentley Manual electric schematics of a Vanagon in order to find a safe place to tap into for a switched power source here is a quicker, easier way. Purchase what’s called a Littelfuse FHA200BP ATO Add-A-Circuit Kit. This kit runs about $7 on Amazon and even comes supplied with a 3, 5, 7.5 and 10amp ATC fuses. Makes it easy. You’ll notice the instructions here state that this Add A Circuit device is not designed for accessories requiring more than 10amps of load. Our gauges will not draw that many, I run 4 powered gauges in my Vanagon and I get by just fine with a 3amp fuse. So just keep in mind you can’t run a high draw item such as a stereo amplifier, a air compressor or something like those that require a heavy amperage load with this device. 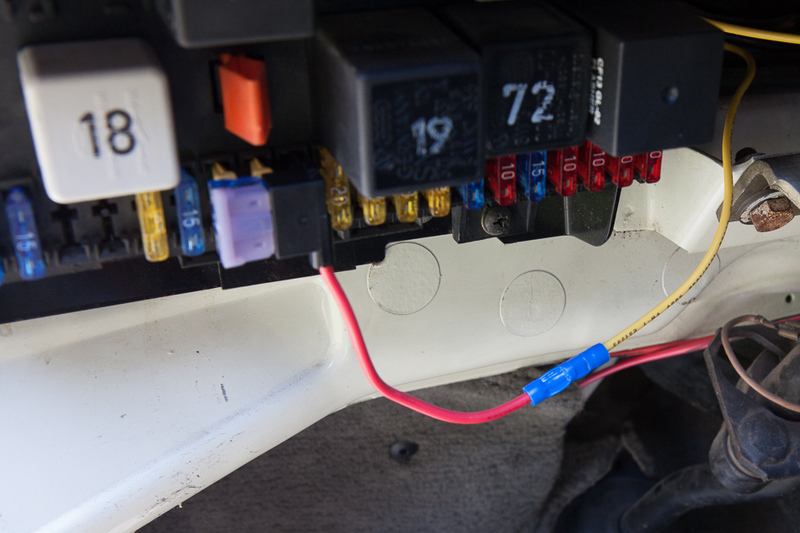 Pop the cover off your fuse box which is located to the lower left hand side of your steering column. On the back side of the fuse box cover you’ll notice it has a complete listing of the circuits located in the fuse box for easy identification. 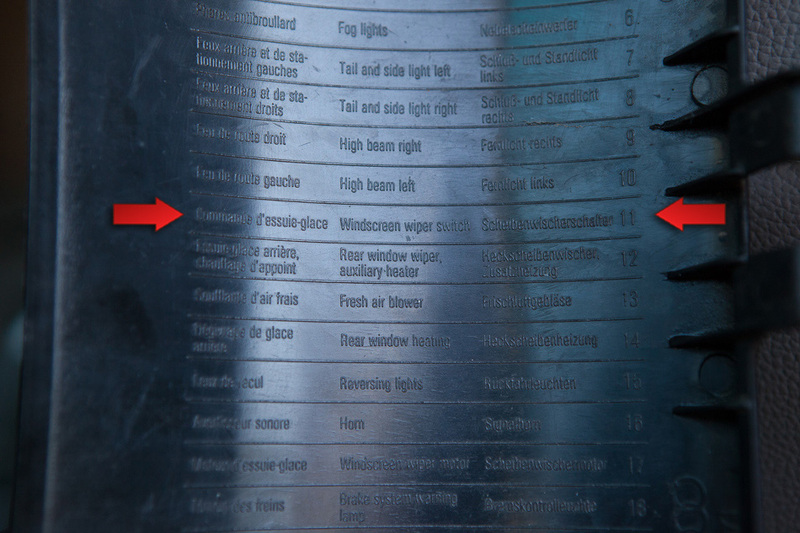 What I’ve done here is marked the fuse Position 11 in my 1987 Vanagon Westfalia, yours may or may not be the same position number so double check on your Vanagon. What is key here is that it supplies power to my Windscreen Wiper Switch. Ever notice you’ll be driving along in the rain with your wipers on and then you park and immediately turn off the van without switching your wipers off first and your wipers then stop at whatever position they’re at on the window? This proves this is a SWITCHED POWER SOURCE. The wipers are only powered when the key is in the ignition switch and in the ON position. This is where we will tap in. Simply remove the fuse located in Position 11 as noted here. Insert the fuse you just removed from Position 11 into the Add A Circuit Connector closest to the bare metal spade connectors. This slot in the device is SLOT A and will continue to operate the Windscreen Wiper Switch. 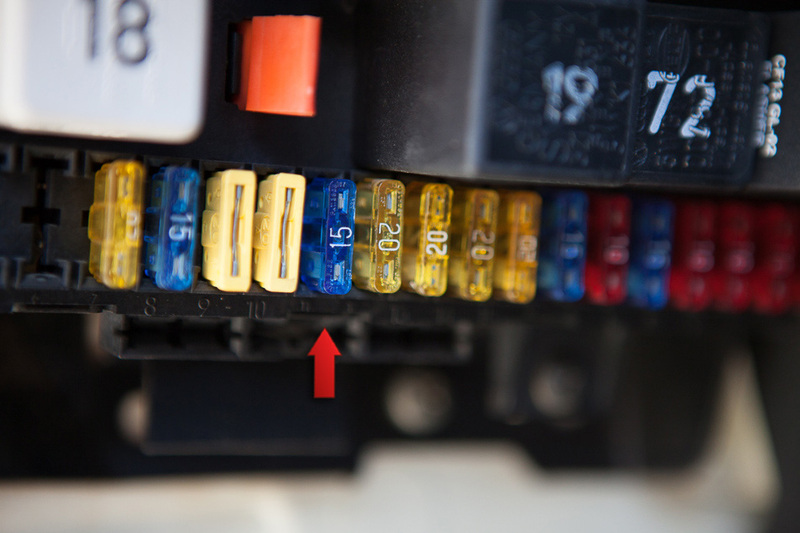 Since we’re powering gauges on our additional add on circuit, insert the supplied 3 amp fuse into SLOT B which is the slot furthest from the bare metal spade connectors. Plug the Add A Circuit Connector into Position 11 on the fuse block and now that one switched power source will supply power to two fused circuits. Route the power wire from your gauges to the fuse box location and crimp it into the pigtail of the Add A Circuit Connector. It comes supplied with a crimp adapter already in place so you just need to strip your power wire a short bit, insert it into the crimp adapter and crimp. This $7 kit really makes things easy and quick. 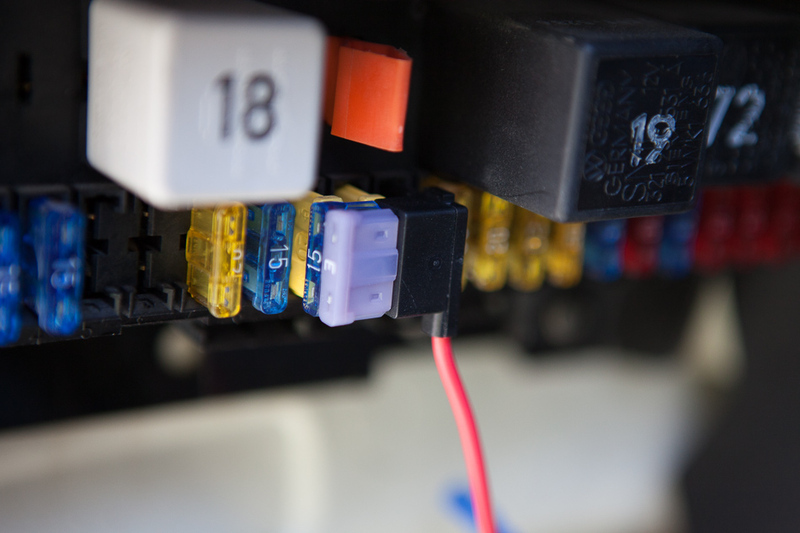 You can now reattach the fuse box cover, reconnect your negative leads to your starter and auxiliary battery systems. Now when you insert the key and turn it to the ON position your gauges should now be powered and turn on. See that wasn’t too bad. 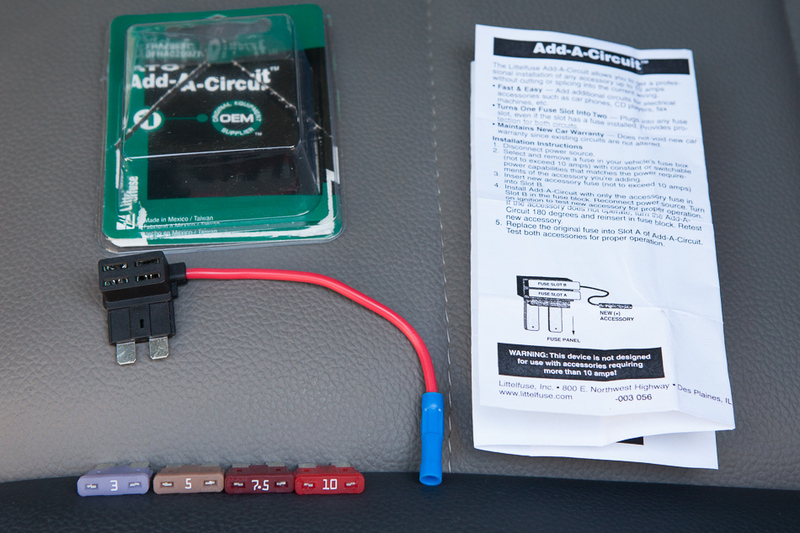 If you follow the instructions one step at a time without overthinking the process you’ll be able to add the Add A Circuit Connector kit without a problem. This whole project can be done in as little as 10 minutes. Hello good sir! Great writeup and incredibly easy to follow directions. This works marvelous for those of you with a later model fuse box with these type of fuses. Those of us with the early model Vanagons have the long round fuses that rest between the input and output side of the fuse holders. This item will not work. Any thoughts for early model users? I am wiring up my CHT and Oil Temp Gauges from Dakota Digital and want to ensure I am drawing power from a switched power source. hmmmm thoughts?